Marina di Massa, typical seaside resort, is one of the tourist spots of the Tuscan Riviera offering a vast choice of accommodation and sport facilities, besides the numerous bathing establishments equipped with private changing cabins, parasols and restaurants. 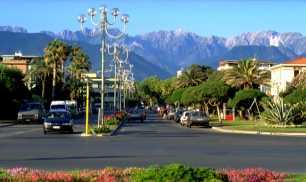 The view from the Pier of Marina di Massa is unique: the mountains are covered in snow in winter and in marble in summer. In summer, tables are put outside on the streets and in the gardens. Shops are open late in the evening and small open markets offer local products in the town centre. 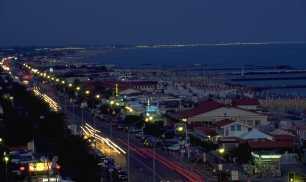 In the evening, the Versilia coast road, nearby, is lined with discos on the sea and restaurants with large terraces. Massa, the capital of the province, has a very attractive historical centre from where you can take a stroll to the Malaspina Castle only a short distance away. Along the coast in the direction of Marina di Carrara, in the area known as "Partaccia", there is a vast choice of campsites all of which are very near to the beach.